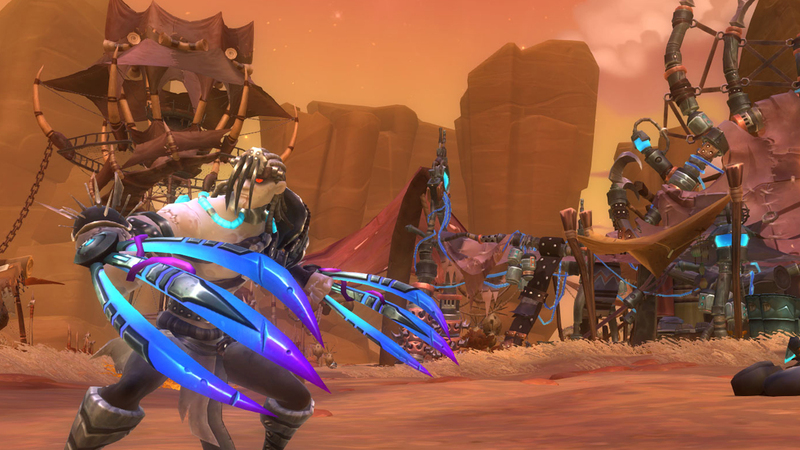 What’s the point in playing a Stalker in WildStar? That’s the question I’ve been asking myself this week. As a rogue-like class that can stealth and deal spike damage relatively quickly you’d think it would have a prime place in Player versus Player. Unfortunately they are in a sorry state at the moment in comparison to one particular class - the Warrior. You might instantly argue that the two cannot be compared, after all, one class can stealth while the other is out in the open at all times. Unfortunately the value of stealth and its implementation in WildStar is limited and as a result a Stalker will, for a large proportion of their time, be outside of it. Having played a Stalker during Beta and having been part of several area teams above 1800 rating (that’s high enough for the best Epic items) I’ve yet to come across or play alongside a Stalker that’s able to thrive in this environment or the alternative, Battlegrounds. As a Stalker, like most classes, you’ve a handful of viable builds available with the primary being an out-and-out tank where you’ll rarely die (but deal little damage) or a full burst damage build. The tanking spec is designed to allow you to absorb the attention of the enemy while your partner (or partners) beat on them until they’re dead. The limitation here however is that as a team your spike potential is massively reduced for very little gain. If the opposing team simply chooses to ignore the tank-Stalker you’re in trouble. If the Stalker pursues a burst build their damage can be high but the sustain on the build is very poor. You cannot stay out in the open after your burst as you’ll die incredibly quickly. This leaves the Stalker in a very odd place at the moment because their main advantage (stealth) is negated so heavily by the sheer number of telegraphs. It's primarily why I'm so worried about the Stalkers long term value, especially when compared against the Warrior. To but it bluntly, the Warrior is ridiculously powerful at the moment. At times I've found myself scratching my head as to Carbines thought process when designing the class. Not only does it wear heavy armor but it's also the highest DPS class in the game, has an unrivalled amount of crowd control to keep you from escaping but also AMPs that tip the class even further over the edge. In comparison to the Warrior, the justification for taking a Stalker is very slim. While a Stalker can stealth, spike down opponents, snare and tether, the Warrior can do the same (with the exception of Stealth) but far better. Make no mistake, even after the recent nerf to Detonate and Power Link a Warrior is, without question, the best class in Player versus Player and Player versus Enemy. As a 1977 Arena Ranked Spellslinger, I’ve come across my fair share of highly ranked Warriors and Stalkers and have often paired with both classes where the individuals are rated above 2000. You might instantly think, “Well what’s the problem? The Stalker can do most of that” and you’d be absolutely right. The problem however is that the Warrior supersedes the Stalker because of its innate ability (Overdrive) which resets all of his cooldowns but also because when Overdrive is triggered, it uses the Detonate AMP for a massive amount of pre-spike damage. Lastly, the default amount of armor a Warrior has over a Stalker (heavy versus medium) tips the balance further in their favour. A Stalkers Cripple (snare), Collapse (pull), False Retreat (knockdown) and Tether Mine are excellent skills but there are several reasons why they're worse than the Warrior alternatives. If we take Cripple versus Festering Blade, the former is a Stalker skill and the latter is a Warrior AMP. The fact a Warrior, when DPS specialised, has the AMP points to spare for Festering Blade, it allows him to free up an additional skill slot while the Stalker has to waste one. In addition, Collapse versus Grapple is yet again in the Warriors favour because while the Stalkers Collapse targets 3 opponents and the Warriors Grapple only grabs 1, Grapple by default roots while Collapse needs to be tiered to root. In an arena and small skirmish environment, it’s so much more powerful by default. Then we have False Retreat versus Kick and while both provide a knockdown, False Retreat requires a double-interaction (you press it once to retreat and press it again to re-enter combat and knock down your opponent. As you might imagine, it’s quite disruptive to the flow of a Stalkers combat whereas the Warriors Kick is instant and requires nothing but the press of a button. Lastly, the Stalkers Tether Mine versus a Warriors Tether is relatively even with the exception that a Stalker can cast two and a Warrior only one. You might think it’s an outright win for the Stalker as their Tethers are also stealthed but the Warriors are so much more potent because at Tier 4 they gain 25% extra health. Considering Tethers already have a ton of health (they’re near impossible to kill quickly) making them even stronger puts a huge advantage in the Warriors court. Being tied to a Warrior with a Tether that is nigh on indestructible is a recipe for instant death and it leaves you with only 2 choices: use your CC-break skill or attempt to destroy the Tether. Both will leave you incredibly vulnerable and further allow the Warrior to tunnel you, irrespective of what decision you take. So how does a Stalkers stealth play out in comparison to a Warrior? For the most part, it’s pretty negligible. 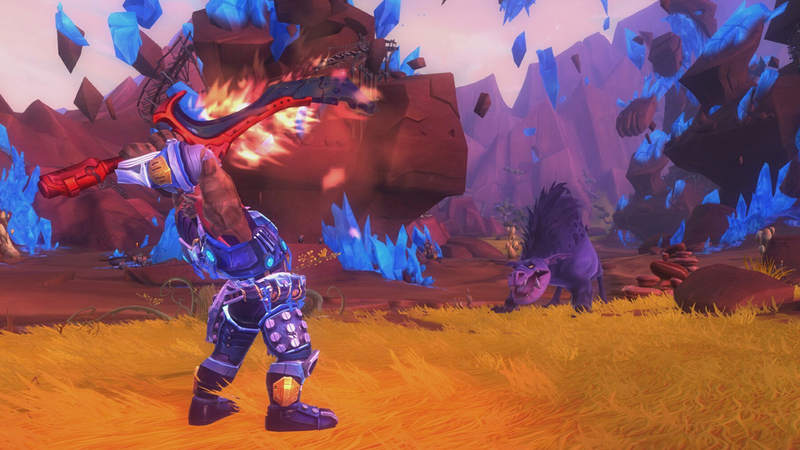 A good Stalker can happily attack and stealth repeatedly in an effort to whittle down any opposing class, but unfortunately locating and tracking a stealthed Stalker is super easy in WildStar. Large auto-attack telegraphs mean you can simply spam your skills to uncover them and once you have, it’s far too easy to lock them down even if they’re still in stealth. As far as I’m concerned, the main culprit here is the Warrior. Carbine have simply given it too many tools and too much damage in comparison to other classes. There’s absolutely no reason why it needs a tether and there’s no reason why it needs to have detonate as powerful as it is, even after the nerf. Considering 99% of Warriors in a PvP environment simply take all the above utility/CC skills and only use a couple of damage based ones (Relentless Strikes and Rampage) it all comes far too easy for them. I’m not in any way suggesting that the Warrior can’t be killed, doesn’t take skill or is hugely ‘overpowered’ but they are, in their current form, filling too many roles and making many other classes (notably the Stalker) redundant. It wouldn’t take a great amount to rectify them but for the time being it simply isn’t happening and as a result, that’s pushing far too many Stalkers to the edges of competitive PvP and I think that’s a real shame.